Polaris, designated Alpha Ursae Minoris, commonly known as the North Star, is the brightest star in the constellation of Ursa Minor. 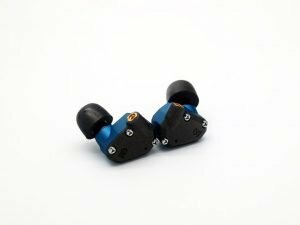 It is also the name of Campfire Audio’s latest hybrid In-Ear Monitor offering, the second in the Campfire Audio galaxy, after the Dorado. Using a single 8.5mm dynamic driver (DD) and a balanced armature (BA) combination in a single crossover design, the two drivers are configured to complement each other with dynamic driver responsible for low and mid frequencies while the balanced armature takes care of all the high frequencies. 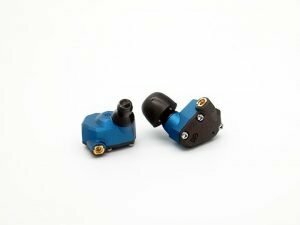 Campfire Audio incorporates its famed T.A.E.C (tuned acoustic expansion chamber) technology in an effort to improve treble expansion and soundstage on the balanced armature driver of the Polaris. This technology was previously employed only on its higher-end offerings namely the Andromeda, Dorado, and Jupiter. The design of the Polaris also features a new innovation to the dynamic driver; the Polarity Tuned Chamber. This allows the performance of the dynamic driver to be optimised through the use of 3D printed tuned acoustic chambers placed in front and behind of the driver. This is said to open up the low and mid frequencies, which the dynamic driver is responsible for, with effortless power. The Polaris is also Campfire Audio’s first offering to ship with a copper cable instead of the usual silver plated cables previously found in Campfire Audio’s every other offering. 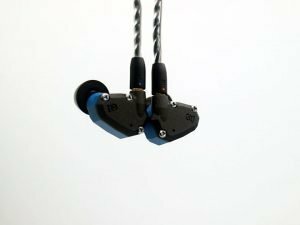 In Head-Fi.club’s exchanges with Campfire Audio, we learned that the copper cable’s ability to act somewhat like an acoustic resistor that smoothens and flattens resonance peaks which in turn cemented the team’s choice of copper for the Polaris. Fresh out of the box, the Polaris sounded recessed, with sound imaging and separation generally out of focus. As a personal practice, I would burn-in any earphones with a dynamic driver for at least 200 hrs. After 250 hrs of burn-in, the Polaris really shines, displaying the dynamic and fun characteristics in its sound signature which Campfire Audio was looking to achieve. The Polaris sound signature presents a laid back, V-shaped tuning, displaying great coherency between the dynamic driver (DD) and balanced armature (BA) drivers. This allowed either drivers to dominate depending on their role in the respective reproduction. The recessed character of the mid-range exhibits clarity and focus, allowing one to be engaged with dynamism despite being laid back. The tuning of the Polaris also allows for gaps between notes, yielding depth in the presentation with just the right amount of decaying making it extremely pleasant to listen to over long periods. The Polaris’s dynamic driver handles the low frequencies well, and offers great resolution allowing a bass reproduction that is detailed, swift, and tightly coupled with a great sub-bass extension that is subwoofer-ish with nicely defined rumbles. Lower mids are, unfortunately, the weakest aspect of the Polaris. The recessed lower mids lacks resolution and is extremely evident during the reproduction of male vocals. My favourite aspects of the Polaris are the upper mids, which offers a bump in clarity throughout granting higher range vocals clarity. Female vocals are exceptionally delightful, exhibiting layers of definition made possible by the qualities of sharp treble response and a fuller bottom end. 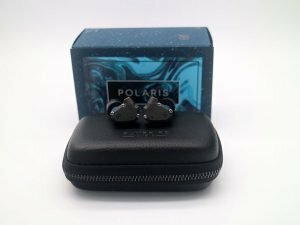 In general, the Polaris’s mid-range presentation offers clarity and detail, making it an extremely musical and engaging In-Ear Monitor for popular genres like acoustic, jazz, pop and rock. It is also forgiving of poorly mastered materials. Similar to the mids, the highs on the Polaris are highly detailed allowing for a smooth transition between the upper mids and the lower treble. This accounts for the great sharpness in the reproduction of strings and cymbals with plenty of bandwidth granting timbre realism with lots of texture in the highs. Listeners who are sensitive to the high frequencies will enjoy the Polaris as it feeds lots of details on high frequencies while smoothening it by projecting the higher details further in the background, avoiding roll-offs. Pretty much in alignment with its sound signature, the soundstage on the Polaris is coherent and intimate, with a proportional distribution of width, depth, and height. 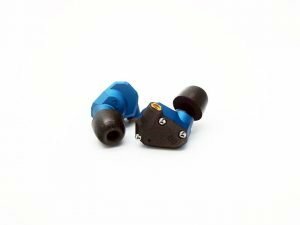 However, this is not as wide as Campfire Audio’s other T.A.E.C enabled models. Sound imaging, enhanced by the earphone’s resolution and clarity is very good but not excellent, evidently lacking in the holographic transience found in Jupiter. Sound separation, while there was never sound muddling, is average as it is somewhat lacking in transparency and resolution. Rated with an average sensitivity of 97.5 dB and a low impedance of 16.8 Ohm, the Polaris is surprisingly easy-to-drive. One can power the Polaris off the 3.5mm jack of a regular smartphone. However, when playing from a dedicated DAP, the resolution of the output scales significantly and even more when connected to one with a high power output. I was able to enjoy presentations of higher resolution on the SP1000 versus the XDP-30R. At SGD 899 (USD 599), the Polaris is a product of coherence from design to execution. This is an exceptional hybrid and possibly one of the most enjoyable IEMs I’ve spent time within the past year regardless of source.